To support the launch of the PENTAX Q7 we devised a campaign to get young, fashion conscious females excited about a camera brand traditionally reserved for the techies! Images were shared daily across their own social media networks, using #Q7weeksofcolour, along with a final blog post at the end of the challenge. 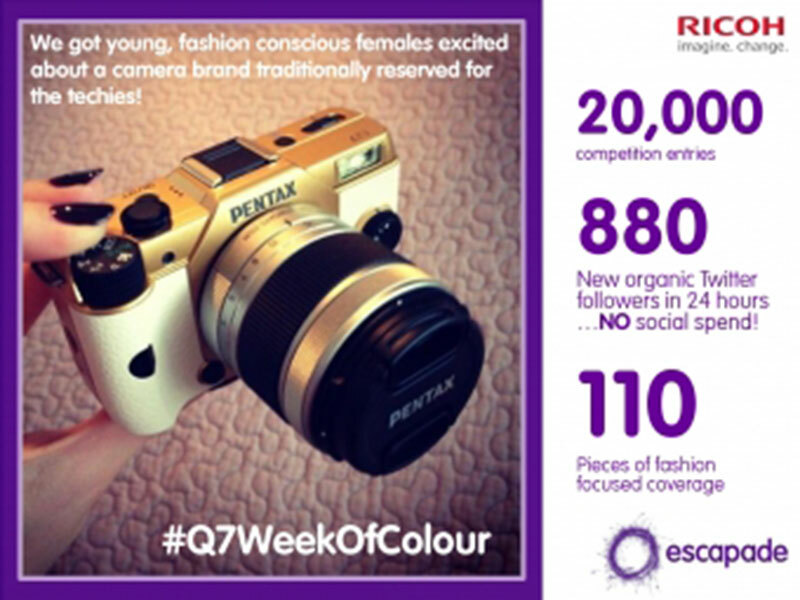 Ricoh Imaging UK engaged with fans via Facebook and Twitter by creating a #Q7weeksofcolour app to encourage people to upload their own pictures every week, for seven weeks, to be in with a chance to win a PENTAX Q7 camera. 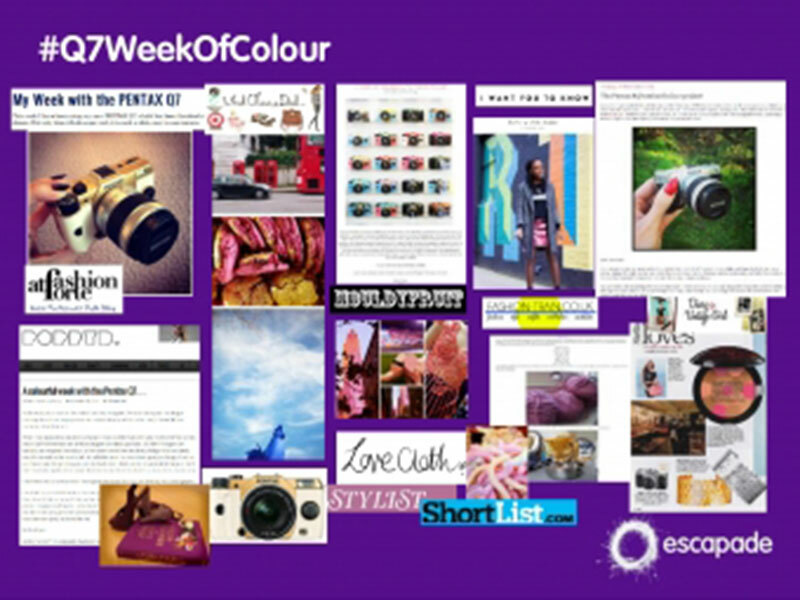 Our campaign secured over 5.6 million opportunities to see the #Q7weeksofcolour campaign, with a 15% increase in Facebook engagement and 5% increase in Twitter followers during the campaign period, and over 20 thousand competition entries!